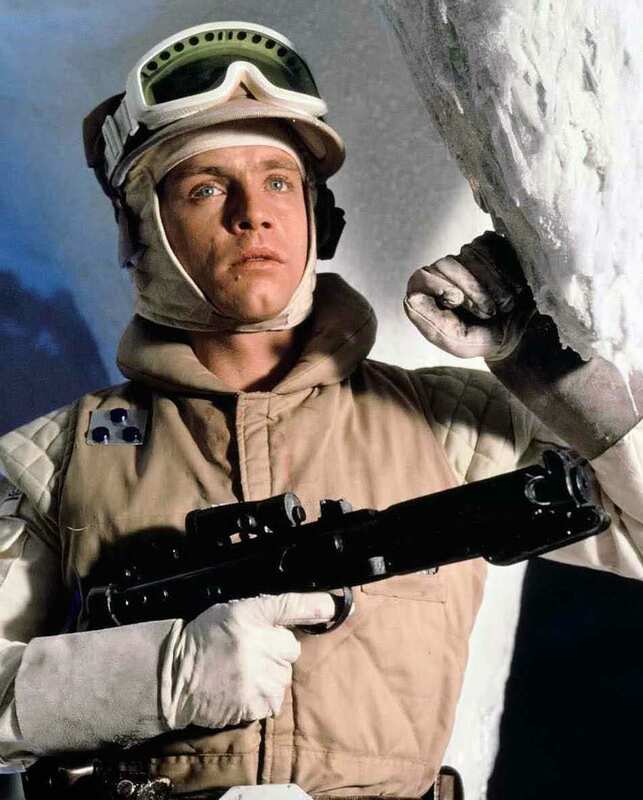 I was informed that RAID handles the costume standards for Taun Taun Hoth Luke Skywalker. I’ve posted this in a couple places so trying here to hopefully it’s in the right place? 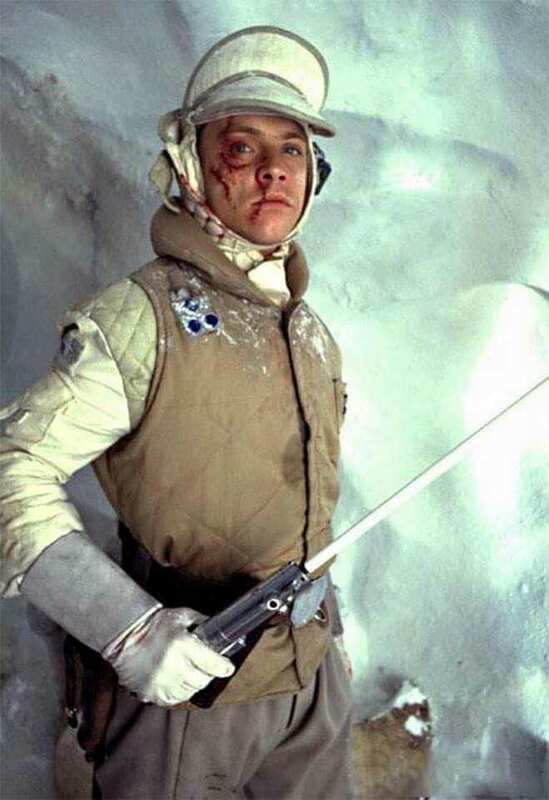 I’m working on Hoth Luke’s costume and noticed missing details off the costume standard so here is my original post for revision requests to the standard. 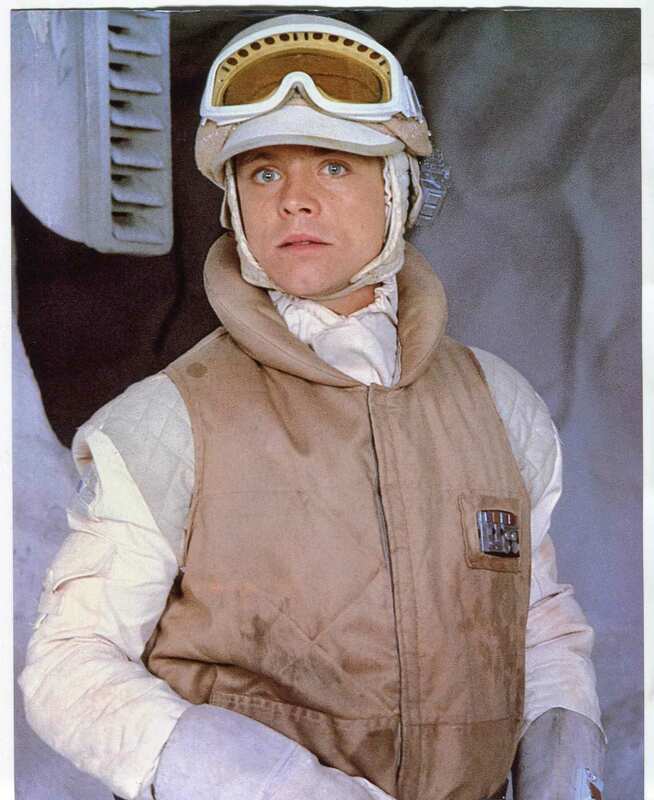 There is a 'standard' for Taun-Taun Hoth Gear Luke Skywalker, however, I'd like to submit a revision. I'll post up both the original and the revision requested below with explanations and references. 2. Quilted shirt with white sleeves & quilted gray padded shoulders, pocket on upper right sleeve. 8. Gray suede boots with suede wraps around them and 3 white straps. 2. In addition it should list on the right should is the Rank Colour Block Patch above the pocket. It's clearly seen when Luke is on the Taun-Taun. Here's a close of detail of it from the Star Wars Costumes, The Original Trilogy book. 7. There certainly looks like two different colour lenses used in the ski googles. the on-screen lenses actually look much more green in hue then the yellow that is the current standard. There are photos that show yellow lenses and green lenses. It's interesting the photos with yellow lenses seem to be stage production or promo photos. I think the standard should be updated to yellow or green lenses. 10. 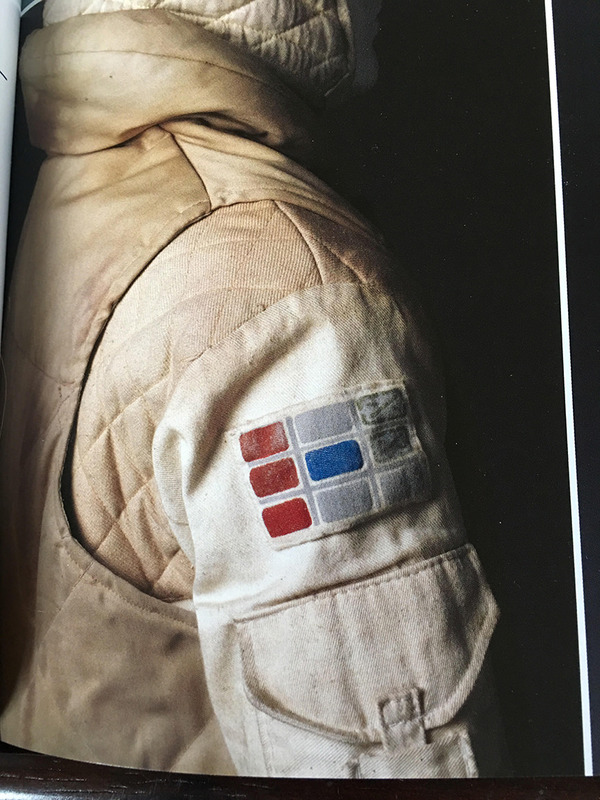 In addition to the button pad on the left breast pocket on the vest there should also be the Rebel Command Rank Insignia Badge for the Commander on the upper right shoulder at the edge of the vest. He has the Badge when he's on the Taun-Taun. 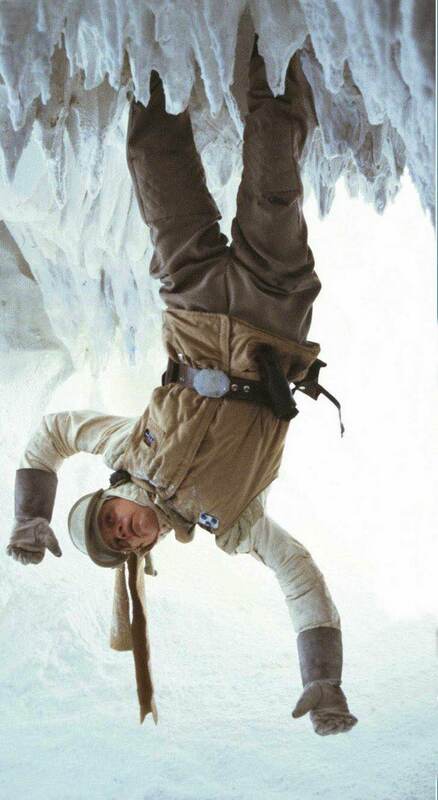 Still has it after he's captured and hanging in the Wampa's cave. And still has it after fighting the Wampa. There is also a promo photo showing the Badge on the vest. I *think* this belongs in the Jedi forum under Luke Skywalker. 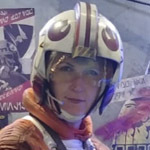 “The problem with these costumes is that Luke is a Jedi but the standards are with the pilot detachment and the RAID. Strange. When you go to find the existing CRL, its listed under Jedi. 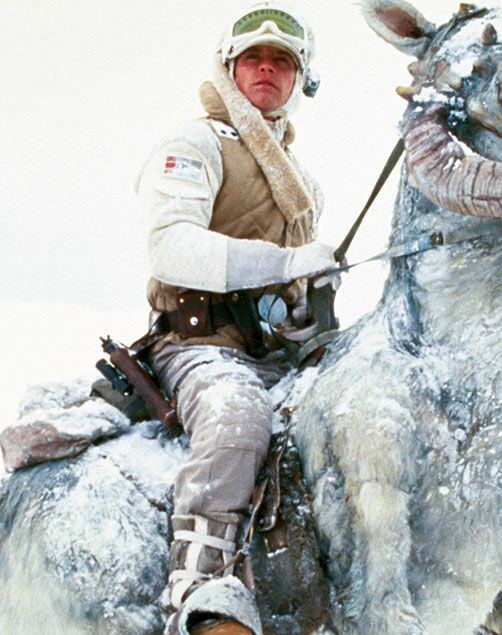 There's been at least one Tauntaun Luke approved as a Jedi in 2014 w/ a Jedi frame. There haven't been any Lukes approved as a trooper to my knowledge. I dont have any problem with having this standard at the jedi sector. I only dont want to get in conflict with the RAID detachment. When the DCO of the RAID tells me that this standard is with the KJO i am happy to work with Christina on this standard. As long as I have been in the Legion, that has been a "face character" and we've been told to leave it be. I am not at this time inclined to alter this arrangement. The R.A.I.D. judges are in agreement. What I would advise in the future is that whomever is judging this costume in the KJO, please check with a R.A.I.D. 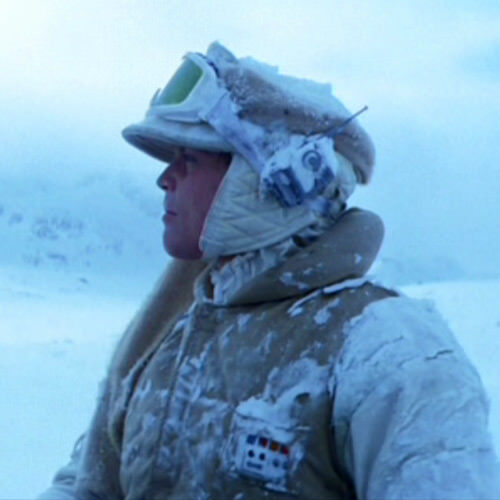 judge to make sure the Hoth elements are good. Or, whoever judges officers. Luke has the rank of Commander. We're just grunts and groundpounders here.